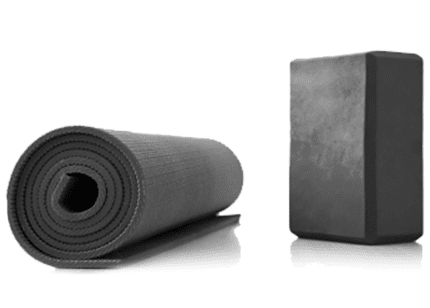 Unroll Your Mat Anytime, Anywhere. You want to build a strong personal yoga or meditation practice. But how do you stay consistent when family, work, school and your social life can knock you out of your routine? My MBFY was designed to compliment a studio yoga practice, or help you add a little diversity into a home practice. The purpose behind My MBFY is to help you stay committed and consistent with your yoga and meditation practices. Access these practical resources where and when you need them. Make it easier to fit yoga and meditation into your crazy schedule while you keep up with family, work and a social life. You know that a consistent practice is vital to real progress and growth. Don’t let your budget keep you from letting your practice help you shine in life. You can skip getting dressed, traffic, signing into class and finding a spot to lay down your mat. Your studio is wherever you are. All of our plans start with a 7 Day trial for just $2.95. Your credit card will not be charged the full membership price if you cancel during the trial period. All for just $0.43 a day! All for just $0.35 a day! Are the classes just audio or is there video too? At this time, classes are just audio. A video component is a possibility for the future. For now, the experience is much like being in a class. You open your ears, heart, mind, and follow along. Do I need to be experienced in yoga in order to take the classes? Not at all. There are a variety of classes from beginner to the more advanced practitioner. Enough here to keep you engaged and challenged with your practice wherever you currently are with it. What if I need the site just for a quick vacation or trip out of town, and don't want to use it past that? Sign up for the monthly option and then cancel when you return home from your travels. Will classes continue to be added to the site? Absolutely! Classes will be added to the site on a monthly basis. So, the current library of classes on the site will continue to grow…always taking into account our members’ feedback and requests. Yes, you can absolutely cancel at any time, no questions asked.